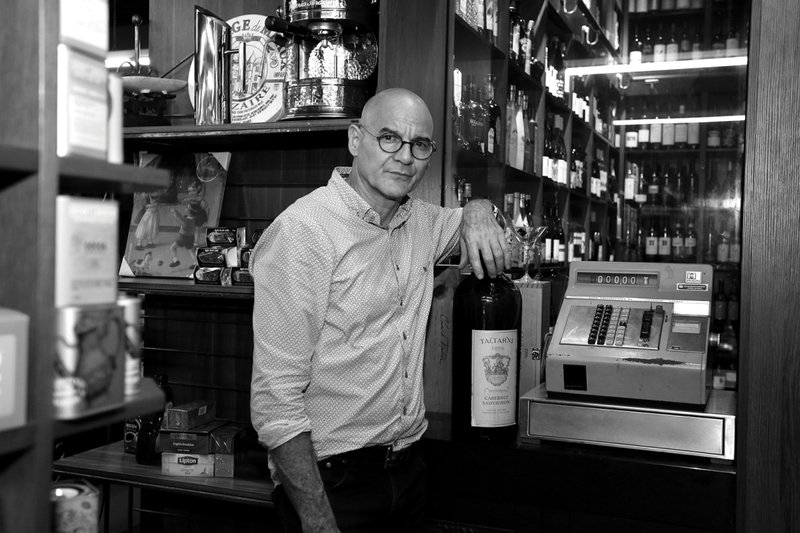 For Neville Pantazis, strong family values underpin the core of his success. “My family is the pillar that allows me to do what I do. That’s a key part of the success of this business,” says Neville. As Store Manager of Parap Fine Foods, Neville’s vision and market knowledge have enabled him to grow and develop the family business established by his parents Paul and Rene in 1968. Crediting his parents for providing his “street training” in the retail world, Neville believes the lessons they taught have enabled him to overcome many of the obstacles facing businesses today. “History has a sense of repeating itself, and all that’s changed is the language that we use,” he says. Although he worked in the family business growing up, Neville left to pursue a career in the arts world. After obtaining a degree in Fine Arts from the University of Tasmania, he returned to Darwin as an Art Lecturer, before ultimately joining his sister Paula at the helm of the store. According to Neville, the move from the art world back into food and retail was an easy transition. Influenced by the great food halls of David Jones, Harrods in London, and Dean and DeLuca’s in New York, Neville used his creativity and artistic flair to propel the visual impact of the business. “With the big food halls overseas it’s almost like walking into a gallery. So I treat food the same way as art, constantly doing window displays, utilizing the European way of selling food from your front window,” he says. Inspired by travel, Neville believes that journeys overseas provide the best education. These trips also ignite Neville’s passion to ensure that Darwin does not miss out on what is offered to southern counterparts. “There is no reason why we can’t be as good as someone in Sydney or Melbourne. We can compete with the southern markets. Even though we have the tyranny of distance we’ve still got the client base that can equal the gourmet stores around Australia,” he says. Neville cites positive cash flow as a key indicator of success, and feels assured as to the longevity of Parap Fine Foods, as the third generation of the Pantazis family now comes through the ranks.